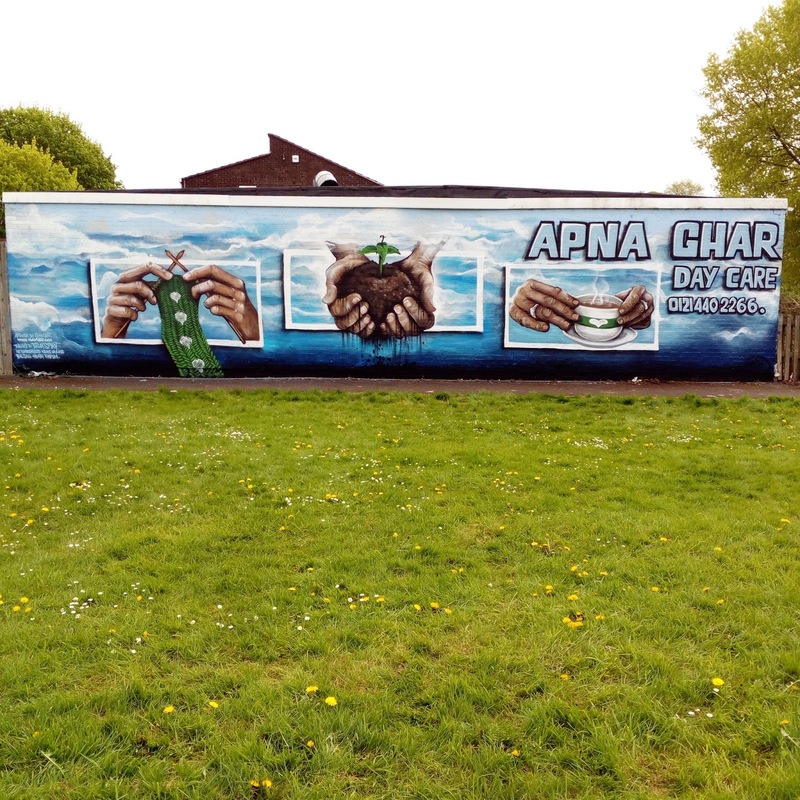 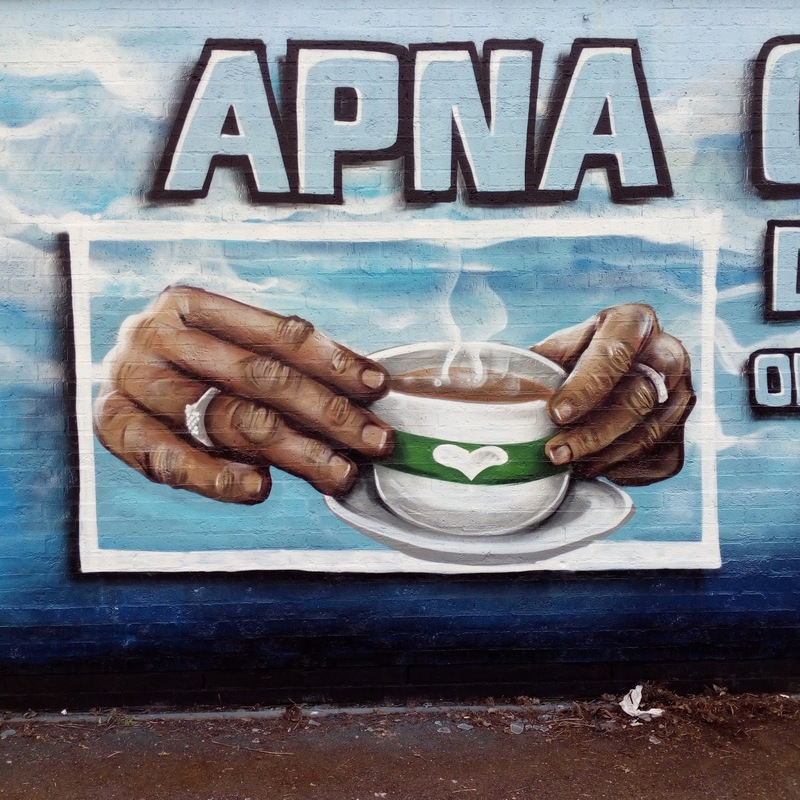 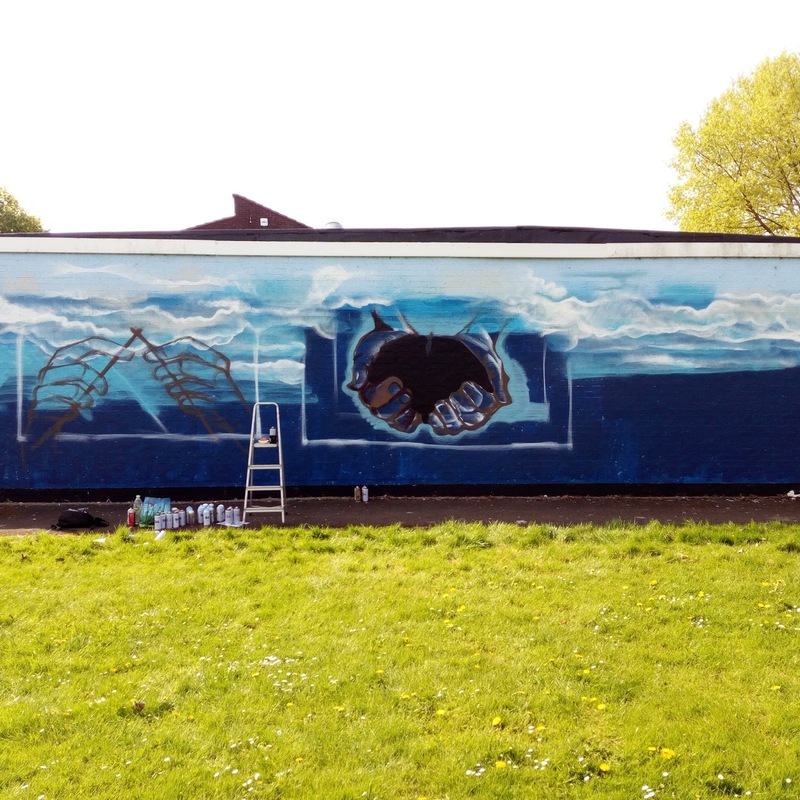 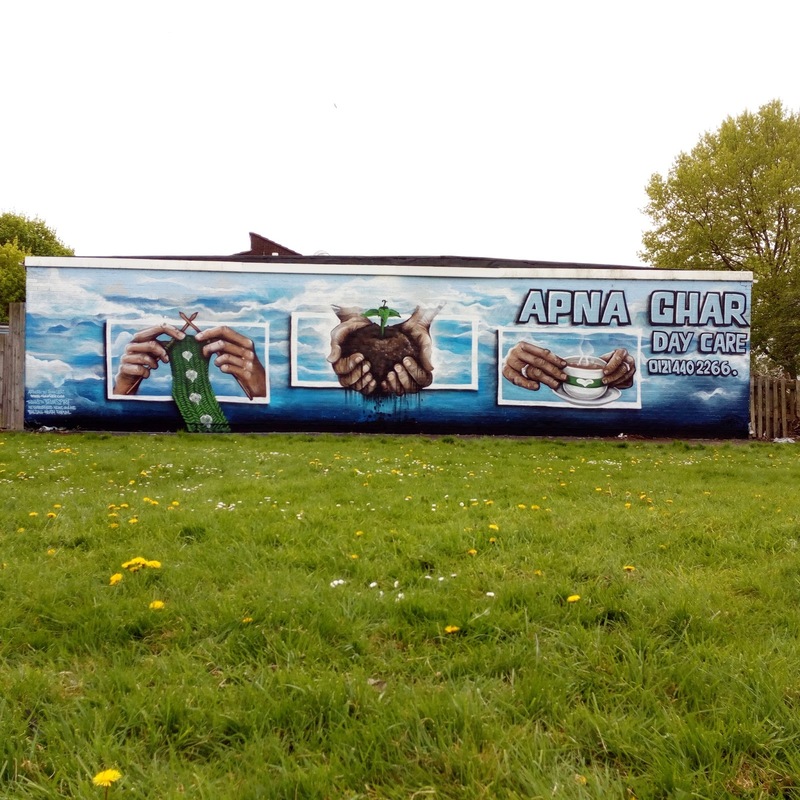 This mural was painted for Apna Ghar which is an elderly day care center in Balsall Heath, Birmingham.. The idea behind the wall was to brighten the space with something that depicts care, love and warmth whilst covering up some unwanted scribbles that had recently appeared on their wall.. Pictured below is the mess that I covered up, which understandably they didn't like and would have probably only got worse if it was left..
A few days before painting was set to start, the council decided to send somebody to paint the wall in the wrong shade of blue, which would have only been another blank canvas that would probably attract more unwanted scribbles. By this point, I'd already roughly designed the wall to show some of the residents how it might look but hadn't planned on there being a dark blue background, so things had to change slightly as I'd already bought the paint .. 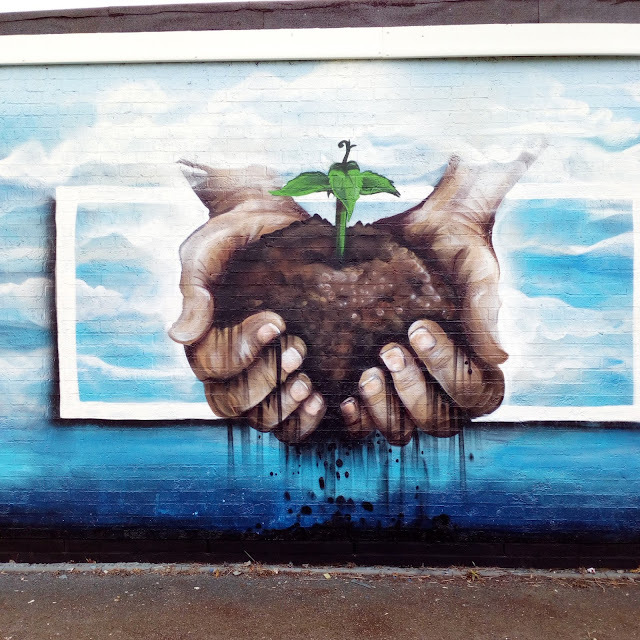 It turned out ok in the end with just enough paint to make it work.. It took around 15 hours to complete over the course of two days with lots of support from passers by.. As mentioned above, the brief of the mural was to show love, caring etc so I decided to paint old peoples hands doing different things..The first hands show knitting, which is an activity many of the residents enjoy.. 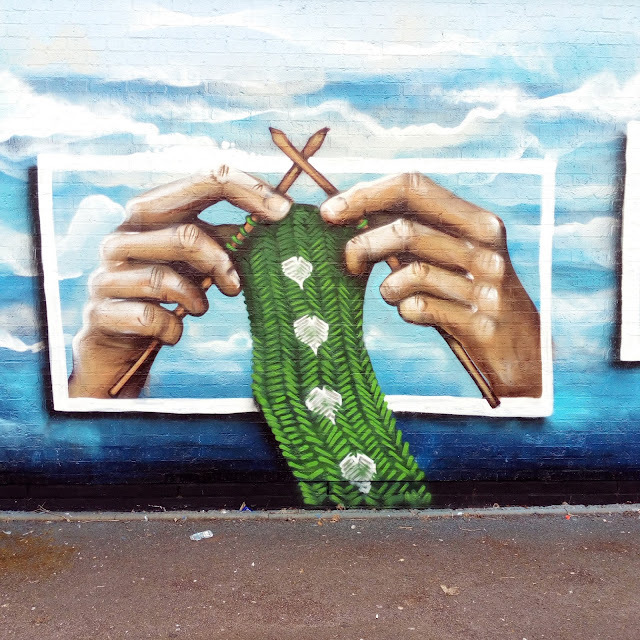 The warm looking scarf was painted green to tie in with the grass that surrounds the area, which also linked into the picture next to it showing a pair of hands gardening. These gardening hands planting a new seedling were intended to depict care, nurture, growth and life..The soil trickling through the fingers make it seem more heart shaped, could also represent time, and again ties in with the surrounding grassy area.. The final cup of tea image shows warmth, socializing, conversation and the fact that everyone loves a cuppa.. 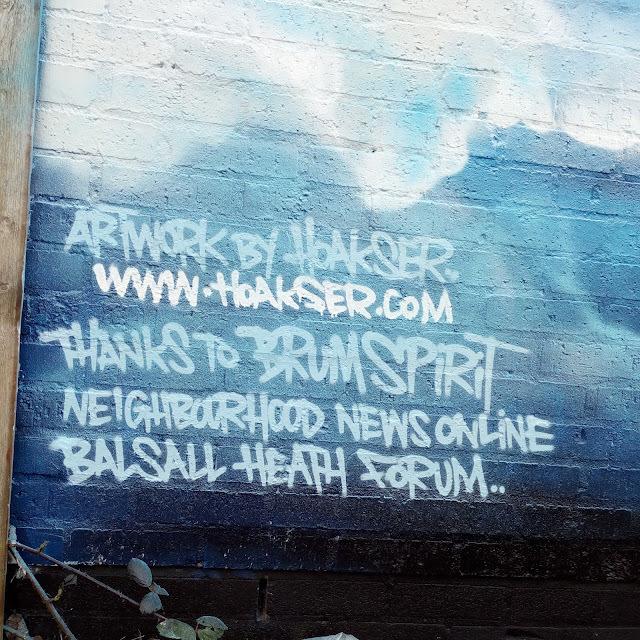 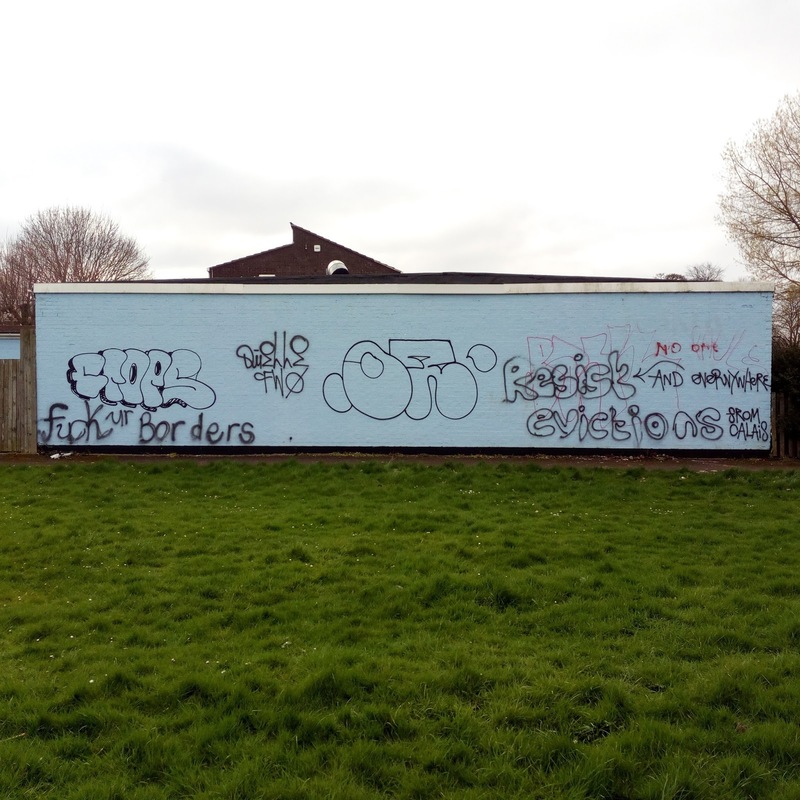 Finally I added some simple lettering and remembered my manners by thanking everyone involved in making this happen.. Big huge thanks to Brum Spirit, Balsall Heath Forum and Neighborhood News Online who had this to say about it - " Only slightly smaller than the Sistine Chapel and definitely larger than a couple of not very cheerful Rembrandt paintings, it has to be said that our mural richly earns its place in our neighbourhood gallery. " 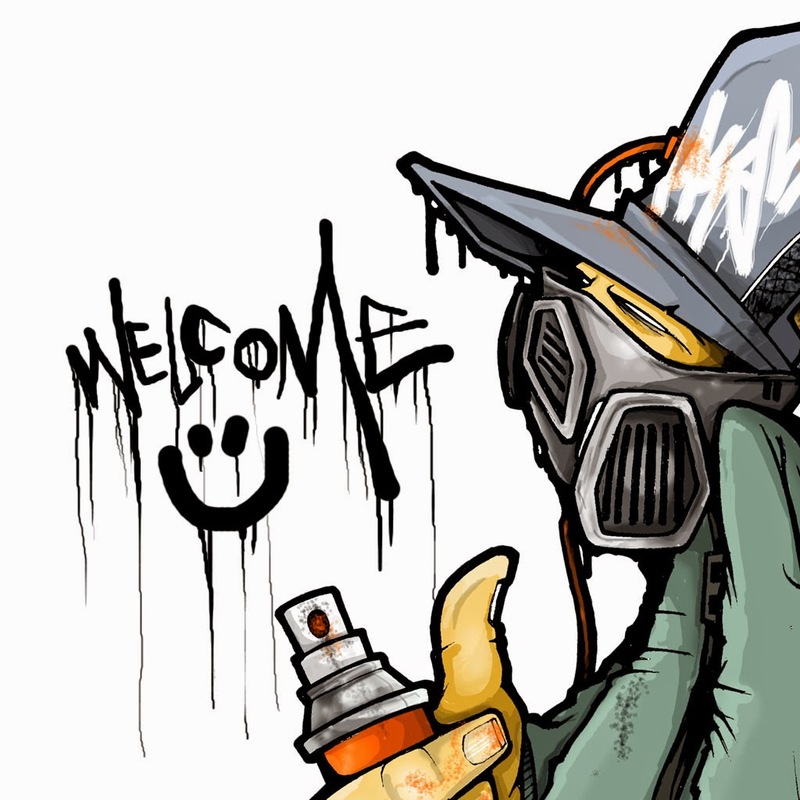 in their blog post (here)..